Creating video game animation is in fact a great animation 101 exercise. You have to animate a walk, a run, a jump, a push, a pull and many more basic animation exercises that any good animator has done. Weight is also a key factor in great game animation. The amount of weight put into an animation will tell the player something about the character they’re playing. Can they take a punch? Can they throw a punch? Can they jump high? Can they run fast? There are elements of the animation that will be controlled by the game engine such as how fast the character moves as they walk. This can lead to feet sliding across the ground or a character starting to run when they’re still in their landing pose. These issues can really lower the quality and immersion of a game. So, if possible, as an animator you should work closely with the coder that is going to be implementing your animation. You will be able to spot timing issues much quicker and make sure the game engine is enhancing your work, not ruining it! 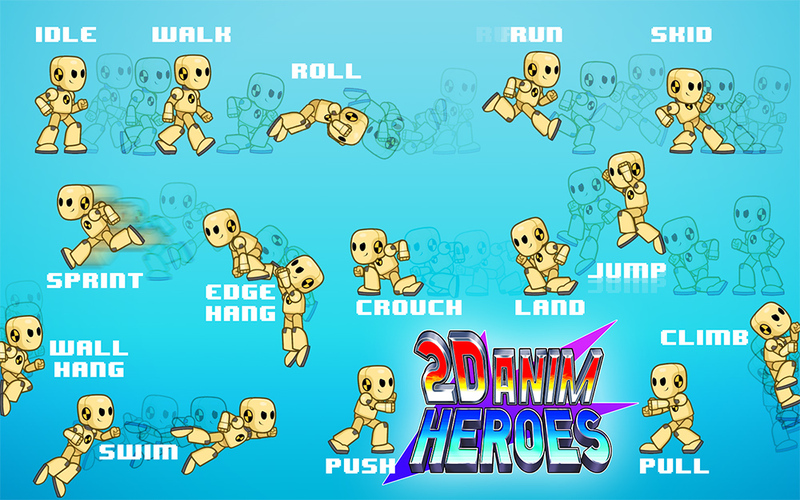 Here at Sun & Moon we created a video game animation pack called 2D Anim Heroes. Once we had made all the video game animations for the pack we started to build a small demo to show off our character. We built a simple control set up and got him running around and jumping! Exciting!! But something felt amiss… there was something not quite right. 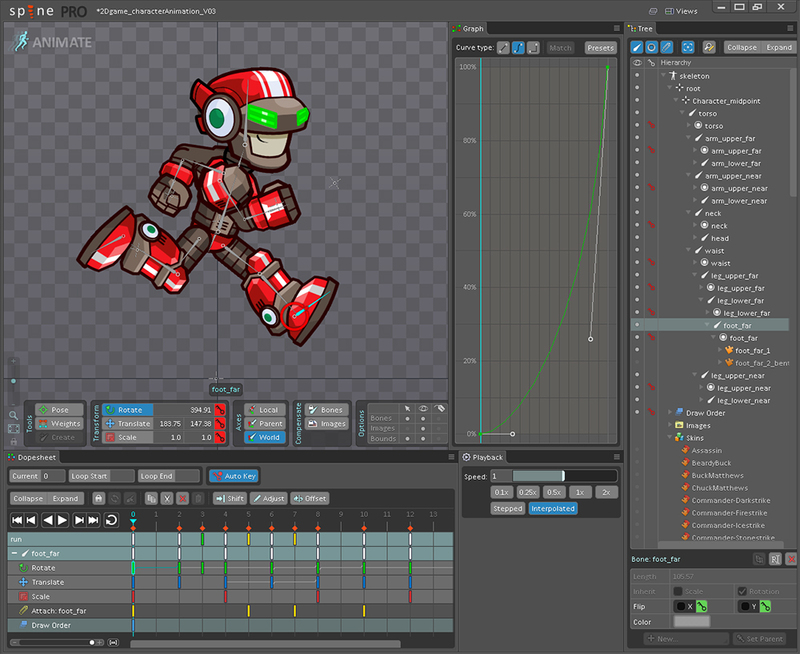 We found that Unity (the game engine) was smoothly blending one animation into another. It wasn’t until we turned this off and BOOM! We had video game animation!! In a video game the user’s input needs to happen instantly for the player to feel in control of their character. Otherwise the controls can feel sluggish and unresponsive. This translates into the style of the animation and when our character was popping straight from one animation into another it had that nostalgic arcade-y feel that gives us the warm fuzzies. For the final demo of the product we ended up putting the blending feature back in to some of the transitions but we set it to 0.1 seconds. We felt this was a good balance between polished, smooth animation while retaining the character’s responsiveness. Responsiveness also has to be considered at the animation stage. There is often very little, if any time for anticipation in a move. This can feel very alien to an animator but it has a lot of implications on how it feels to use the character as a player. When the player hits the punch button they want the character to punch now, not in half a second’s time. Anticipation, however, can be used effectively to give more powerful attacks a costly charge up time for the player. The player will then think twice before using this anticipated punch. For anyone who is interested in our animation pack you can find it here. And the sweet little demo we put together can be played here.